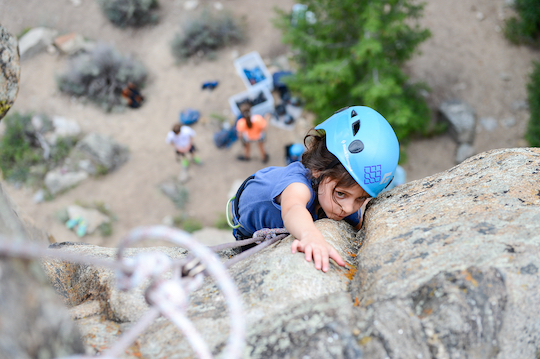 Join Irwin Guides and other youth from the Gunnison Valley every Wednesday at climbing camp! Let your kids challenge themselves in a fun, supportive environment while building relationships with their peers. This 9 week camp will offer ample opportunity to build a foundation of skills or take their climbing to the next level. Each day will be full of hands-on experience and personalized instruction. This team based camp is designed for local kids of CB to build rock skills, relationships, team skills, and explore their backyards. All abilities and skill levels are welcome. Our goal is to provide a fun, inclusive and safe environment for youth to develop through the sport of climbing. A 9 week progession with emphasis on climbing movement, knots, belaying, and rappelling. Transportation from our office in Crested Butte to each week's climbing location. Professional climbing instructors. All technical gear including helmet, harness, rock shoes, ropes, slings, rock protection, etc). End of season mini-donut party! Crested Butte Climbing Club custom hoody sweatshirts available for $35. We understand that many families plan vacations during the summer time and making every session may not be possible. With this in mind the 9-week Crested Butte Climbing Club is $595 for all 9 sessions or $70 / planned session. However, because the program is progressive in nature, we highly discourage missing too many sessions. 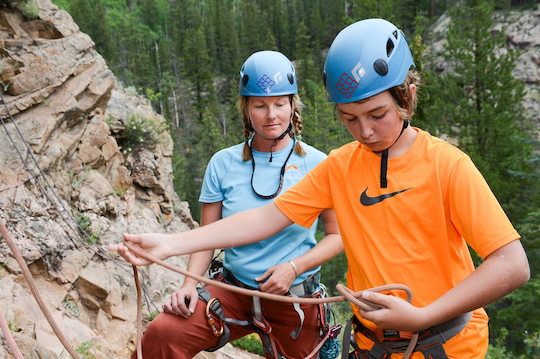 In order to meet the demands of planning a well-organized summer and to ensure we are able to pay our AMGA certified instructors; all program fees are due at the time of registration and by no later than June 1. This is not a drop-in program and we are not able to issue credits for any days missed. Much like climbing itself, a level of commitment will ensure athlete safety and the most fun. Cost: $575 for 9 week program or $70 / session. Custom Crested Butte Climbing Hoodies available for $35. This is a brand new program and demand for the club is still be evaluated. Depending on the total number of climbers who sign up, Irwin Guides may split climbers into 2 or more groups based on age and ability.